In an interesting presentation I mentioned yesterday, Jon Wiley, Google's lead designer for search, showed some screenshots that showcase Google's new interface. There are many design changes that aren't publicly released yet: the navigation bar disappears and it's replaced by a small arrow next to Google's logo that probably lets you choose a different service, the share button and the notification button have a new interface, the application menu has been moved next to the other action buttons, just like in Google Docs. The search options have been moved from the sidebar to the action bar, next to the application menu. It's likely that the new interfaces have been introduced gradually and the black navigation bar was just a temporary solution. The most striking evidence that these screenshots reveal some future updates is that Google Docs has recently added a new settings menu that seems redundant. But how do you move around between different products (e.g. News, Finance, Gmail, Documents, Groups, etc...) Right now everything's just a click or two away. With that interface, it's like each Google product is a standalone product. If they are going to replace the navigation bar for this small arrow, they are going against the effortless concept, that also regulates the new changes...So that, I don't believe it is gonna happen! I wonder when the Google Reader interface will be updated. 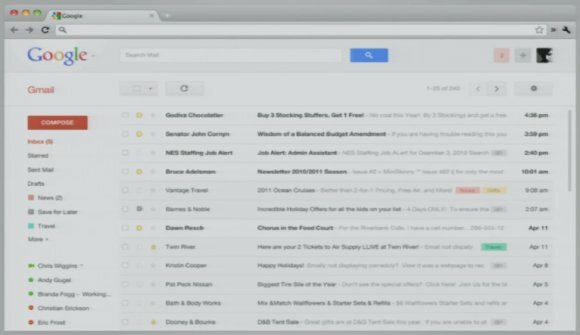 I spend the most time in Gmail, then Reader. 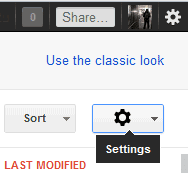 Very nice observation regarding the duplicate settings functionality in Google Docs. I do hope that the black navigation bar will go away, because even though it is accessible, it is horribly organized. For example, why is Gmail labeled "Gmail" while Docs is labeled "Documents" or Picasa "Photos". It's just horribly inconsistent and also unorganized, as some Google products are there and some are not, such as Blogger. I actually really like the black bar. Darn. Black bar！！！ I want it! Google's changing UI is more annoying than face book's constant updates. Google did all sorts of research on how the top left is the most looked at part of the screen, and now they are seemingly going to ignore that. And yet another drop-down menu! 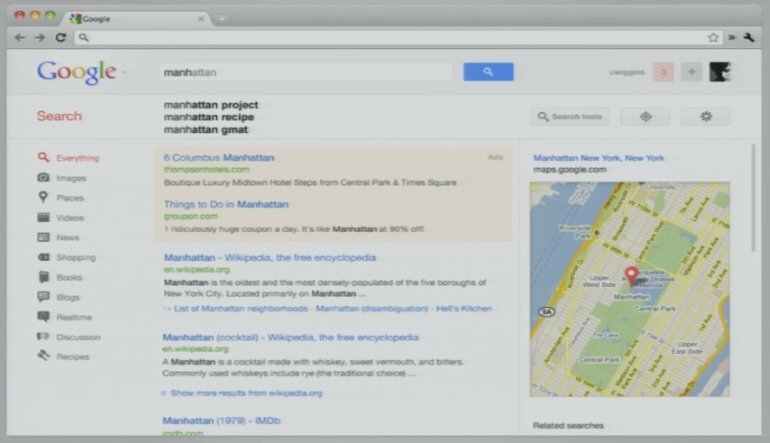 Suppose we had a single platform for all of Google's primary services with a collapsible sidebar as in iGoogle--all linking into a single tab. The rest of the web would go to the top tabs. Now we're talking OS. I imagine you'll be able to click the service's name to get a drop-down with other services to choose from? Google News has also had the duplicate settings button for some time. I don't know if it is a bug, but when arriving on the Google Docs, if you press the tab key and then the down arrow key, the navigation bar is removed. I like that that black bar will be gone. It's too contrasting with the new white look of Google. I also like that scroll bar. I've seen it before in Docs and in the "Preview" theme in Gmail, but today I saw it for the first time in News. please DON'T get rid of the black navigation bar. It is really great! and easy to use on all services! 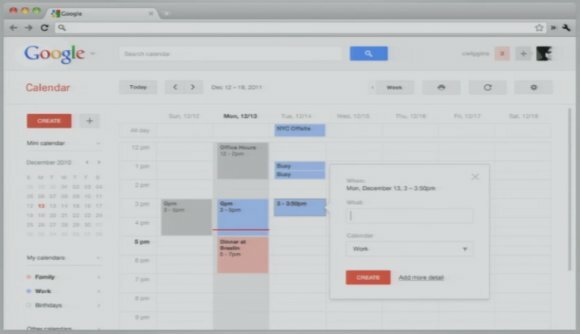 Now what you guys should do is to make +You - Gmail - Calendar - Docs (drive?) Locked! and the rest customizable! It would be great, because I know a lot of people who doesnt use the ones that are over there and have to click on MORE to get to the ones they use! the same for calendar would be nice... how many days/hours/minutes for your next appointment and when mouse over a little calendar with you next appointments (like on some chrome extensions). does any one knows a place for features requests for google products..a place where people actually read? one thing i like about this is that the search bar is located on the same bar as navigation, notifications, etc... it allows more space to be used by the products themselves. I'd also like notifications to be used for more than just google plus, I'm more concerned with gmail and voice notifications than google plus. I really liked the version of new blogger. It is very eye catching and easy to handle. It supports a good number of new themes also. And if we talking about adsense, that is also an acceptable change. But I am very sad with the old slow theme of Analytics. i would like to point out that there was a realtime button on the search page. Excellent, these changes will free up some vertical space for content. Google books and google docs were becoming too cramped to be used comfortably. I love Google's recent changes across the board! It's all becoming so coherent, and the minimalism and clarity appeals to me. I mean, Google already worked towards that goal, but this is just really good and refreshing, design-wise. :) From the minimalism, down to the coherent "Red buttons" that indicate the most common command for the page. It's sort of becoming a new "design language" for Google, and I like it. Change it change it change it change it change it change it change it change it change it change it change it change it change it we're sitting around with an excess amount of money and time and we're (1) not going to let you get used to the interface because...we changed it again! and (2) you're not going to get a plain classic non-cpu-intensive OPTION because we're rich and arrogant! You WILL love our "changes" and they WILL be on by default with hardly any UI behavior options or layout options at all! Have a nice day! The current designs are horrid, but they're a mid-way ground between the old google (that sat well within our current OS's) to a new completely Google OS..
Google is taking over the world, and making it all grey and dark red. It's all about "grouping" and "hiding" and "drop downs" and more clicks and what used to be simple actions now taking 2 or 3 mouse clicks - while animated pop-up mouseover bs is an epidemic now which eats all available cpu processing and makes the page a mouseover/rollover landmine field - what a bunch of ! @#$%^&* arrogant UI a-holes. The main thing for me is to get rid of this ugly black strip at the top. I would be happy already if you would just repaint it white. Yuck, this is horrid! Requires extra clicks and mouse movements across large distances to get to what I need. How can I get the old tab bar across the top back, please???? It is horrible!!! It is difficult to use!!! Why can I keep the old one???? ?